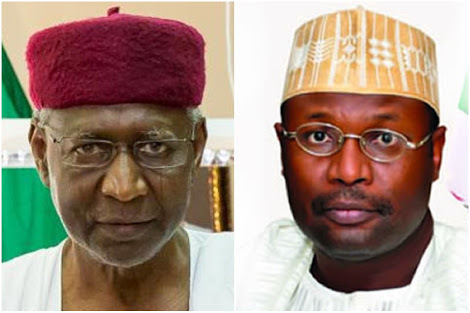 Chairman of the Independent National Electoral Commission (INEC), Mahmood Yakubu. The meeting, which was held in his office, lasted for about thirty minutes. INEC chairman refused to speak with journalists, as he left after the meeting.